Thank you for iOS 5 Support! This app is excellent and super useful. And thank you so much for your continued support for iOS 5 as it lets us use iPad v1 devices and save hardware costs. The effort is very much appreciated!! I create exhibits for museums. And this is exactly what I needed. It makes iPads into museum kiosks. Which in itself isn't revolutionary. But consider this: now I don't have to buy an industrial touchscreen and a separate computer to run it (or a digital signage system). Often a couple to six thousand dollars at least. (And that's without multitouch.) Now I can buy iPads at a few hundred dollars and have them run either automatically or easily updated information that I pull together through a custom website, or content that I load directly onto the unit. The result: I can afford to deploy many more of these than previously. Which also allows me to consider content in a different way. I said this is what I needed. I should also say that it's got features that make it more powerful, and more useful, than I'd imagined. Automatic email alerts when the unit's power state changes, for instance. Don't waste your money, one of the more difficult programs I have used and I still never got it to do what I needed it to do. Exactly what I'm looking for, but it's so unintuitive that it's too frustrating to actually use. Works great with a excellent feature set! The wide range of settings and features like identifiers made the project easy. Perfect app. Need to know a little about web dev. Does it work with 3G? 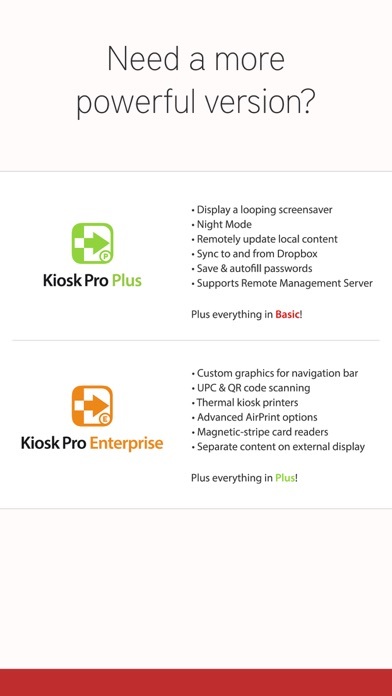 Kiosk pro is the ideal app for your business to have an edge over your competition. I have searched hi and low and found nothing close that compares to their app and customer service...quick hello to Becca. It's nice to know customer service is still alive and Kiosk Group is it. Without Kiosk pro my business idea would not have come to fruition. Thank you Kiosk Group and Becca for this great app and service. I look forward to buying the plus for many of my iPads. Bought this hoping for a easy, quick fix. Too involved and not a "plug and play" that most want from an APP. Looks like a lot of cool features in this APP, but I didn't have time to learn "code". I have this app running on an ipad in the lobby of a Four Seasons resort and it hasnt let me down yet. I was using a different kiosk system before that crashed many times requiring akward phone calls from the front desk. Now i never even think about the thing. 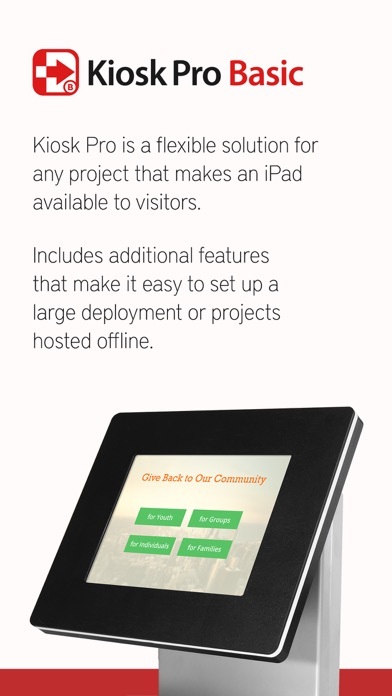 As we deploy more ipad kiosks I will be getting the full pro version. Highly recommended. 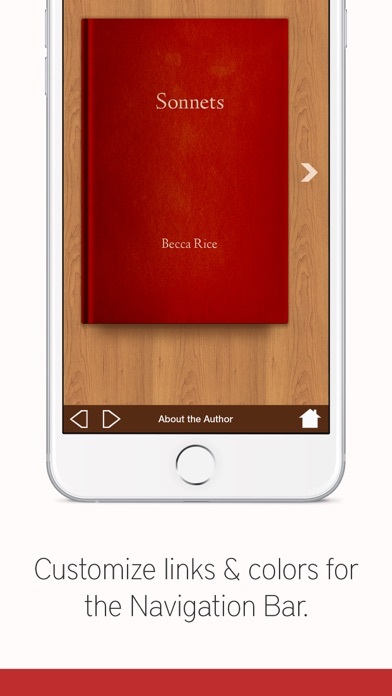 This is a great app for professionals displaying their own content. Unfortunately offline viewing wasn't nearly as great or as easy as they made it sound ("No internet? Not a problem."). Offline viewing only works if you have access to and transfer all the content (html, css, files, etc) to the iOS device. It won't cache a webpage for offline viewing. That means I can't use this for offline viewing of the portfolio site I built through a 3rd party template service (i.e. Squarespace). This is exactly what I was looking for. Easy to use and works flawlessly. 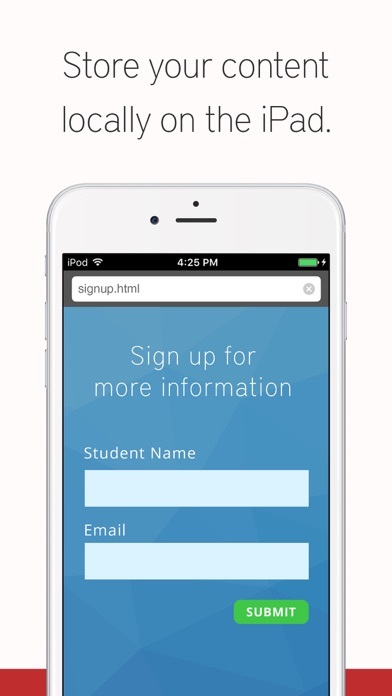 Great for capturing customer information. Thank you for creating this. I upgraded to pro to get the loss of power notification and $2.99 is a steal for this quality of an app. I have been using PC based kiosks and lockdown browsers for three years. This app appears to perform the functions I need to replace the PC's with iPads. I would like a timeout message asking if the user needs additional time before returning to the home screen. I'm using Kiosk Pro Plus to allow museum visitors to select one of four videos to view. The html based iPad interface includes museum graphic elements and snapshots of the four available videos. Using touch gestures, patron selects one of the snapshots and the associated video plays full-screen. The Kiosk Pro bottom navigation bar provides four direct links to video files, back/forward, and the Home button. Content delivery works perfect, everything is locked down, and the night mode provides a scheduled sleep-wake cycle. I did submit a support request to resolve an issue I had with the screen saver feature. I received a prompt reply acknowledging the issue, and a development team fix folded into a new general release - in under 10 days! Kiosk Pro is a great product, and the team behind it provides great customer support. 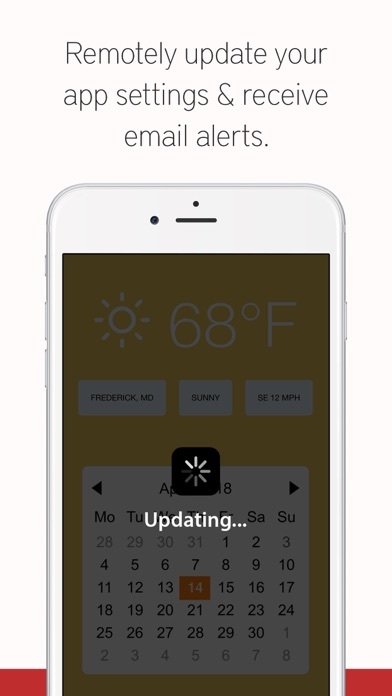 Our app did an automatic update while at a show. We didn't think much of it and let it continue. When the update was finally complete, our KioskPro presentation was blank leaving our iPad useless until we get back to the office to reload. Maybe we're missing something...? My suggestion is to wait until you have access to your source files before performing the update. It's the perfect little app. I saw someone give this 1 star and complain about the splash screen. What a croc! It is literally up for a second while it loads the program. Anyone who knows anything about programming would know that there is time involved with loading an application to the OS. I have absolutely nothing to complain about. We were able to run our HTML content in beautiful full screen glory and keep the user from inadvertently escaping out of the content. Totally worth the price and more!!! I'd give it 4 or 5 stars if there were an option to disable the startup splash screen....I didn't pay for the app to advertise someone else's product. Submit button doesn’t work at the end! !